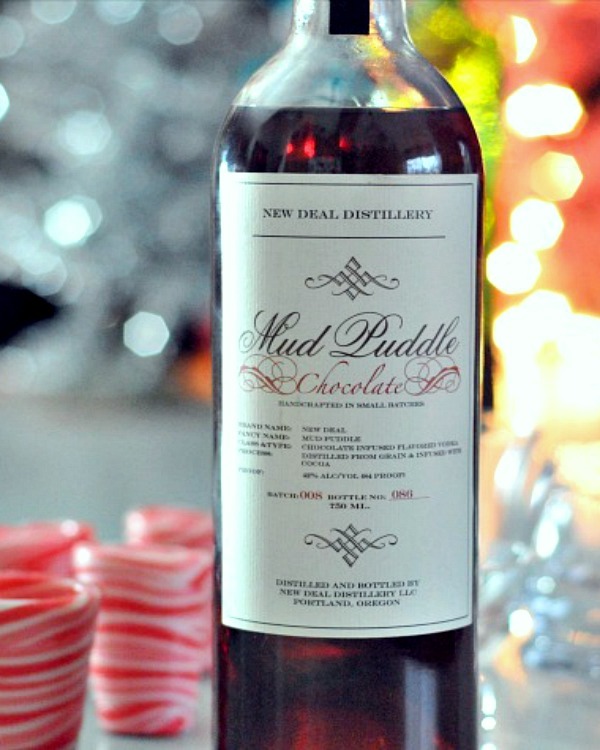 Chocolate vodka made by Portland’s New Deal Distillery. I immediately thought of a crumbly graham cracker glass rim, with a lovely pouf of marshmallowy whip atop a shot of this vodka. Then even better, I remembered my shot glass mould! Hallelujah, the holidays could not come fast enough. These are fun. These are tasty. These are happening on New Years. 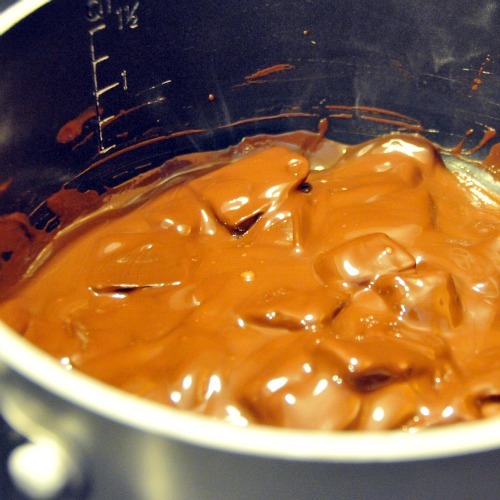 Shot glasses (make a day ahead): In medium saucepan, melt dark chocolate over medium heat. Spoon into shot mould, let cool. Place in refrigerator to set, preferably overnight. Makes four chocolate glasses. Vanilla Whip: Stir vanilla into whip cream. Pulse 2-3 cookies in blender / food processor to a fine crumb (or use store bought crumbs), pour onto a flat plate. Wet the rim of each chocolate shot glass with water, roll in graham crumbs. 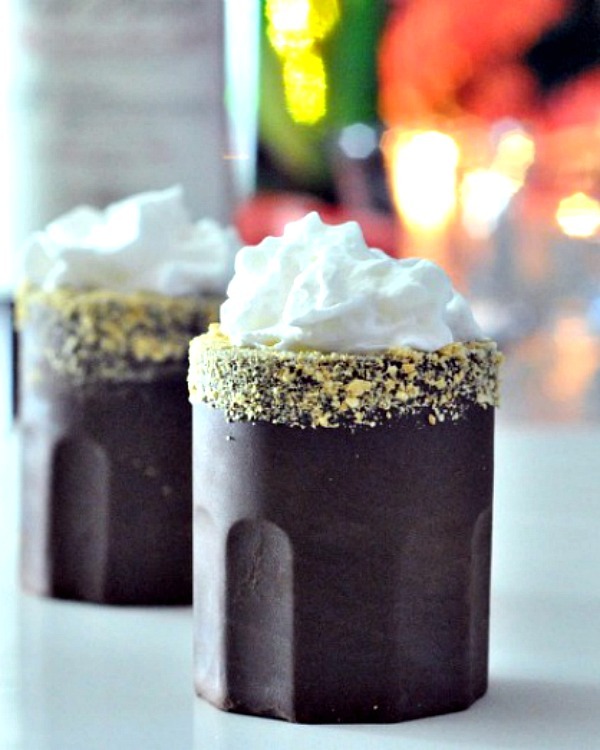 Pour 1 ounce chocolate vodka into each shot glass, top with vanilla whip. 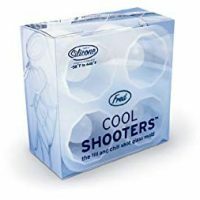 To be completely authentic, use marshmallows in place of vanilla whip: melt marshmallows top each shot glass with a pouf of mallow, or place marshmallows atop each glass and caramelize with a kitchen torch. 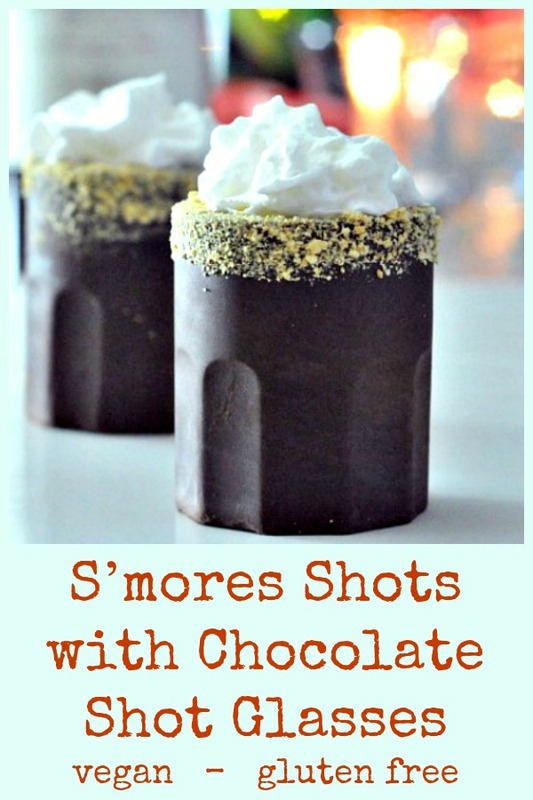 S'mores Shots with Chocolate Glasses - fun cocktail at the party! 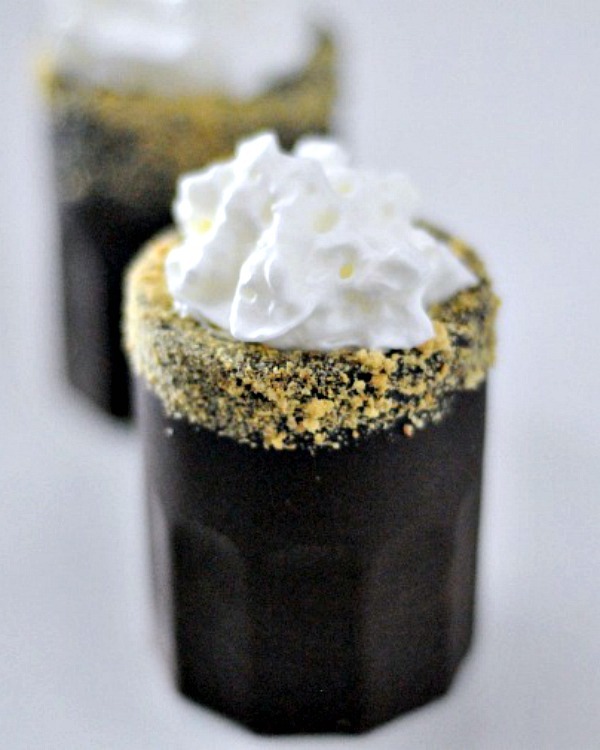 easy DIT shot glasses, dipped in a graham cracker crumb and filled with a s'mores shot! Pulse 2-3 graham crackers in food processor to a fine crumb (or use store bought crumbs), pour onto a flat plate. Wet the rim of each chocolate shot glass with water, roll in graham crumbs. such GOOD trouble 😉 I’ll take that as a compliment! A shot glass mould – I am in awe!